Download The Brave Princess Kelzey Saga to Escape the Evil Witch today! 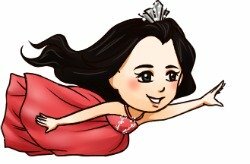 Help a lovely princess escape the clutches of an evil witch! The Princess Kelzey is known to be the cutest girl in all the kingdom! But you see, her subjects adore her for more than just her pretty looks. She is also a very kind, loving soul that is always willing to lend a royal hand to anyone in need of help. Angry that she lacks the same good heart and looks as Brave Princess Kelzey, the wicked witch of the forest has managed to capture the fair princess in her dungeon and doesn't plan on letting her out until she has lost some of her youthful beauty to time. The witch’s trusty dragon stands guard, ready to burn the princess into a crisp if she tries to escape. One night, however, the dragon falls asleep while watching her prison. Knowing it may be her only chance to escape, she quickly uses a hair pin to pick open the lock on her prison door--- but will she be able to get through the enchanted forest and reach her castle before the wicked witch's dragon captures her again? Get ready for addicting one-tap gameplay that's easy for players of all ages to enjoy while also providing plenty of fun and challenge. 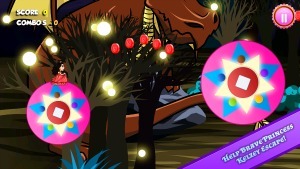 Simply tap the screen as Princess Kelzey rotates around the magic spheres to make her jump off! The trick is to jump onto the next magic sphere and proceed until you reach the end of the stage. There are also other amazing platforms along the way, such as awesome cannons that blast the princess onto the next sphere! Try to get all the coins in between each jump to increase your total score! Each coin gives you points but you'll have to get all the coins in a group to perform a combo and earn even more points, so don't miss a single coin! You can even perform a double jump to reach higher coins and chain together even greater combos. Treasure chests are scattered throughout every level, offering you even more points to raise your score. 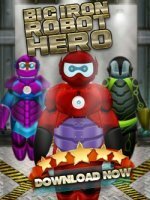 With over 25 different stages to play and complete, you're sure to have plenty of fun as you also try getting the highest score possible and earn all three stars for each stage! 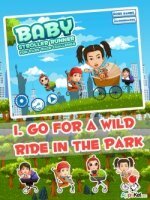 Don't forget to also check out Endless Run mode where you can keep playing forever to see how far you can get! This is perfect for competing with friends to see who can rack up the highest score as they hop across as long as possible! You'll never get bored of the vividly beautiful backgrounds with fantastical red dragons, giant magical trees, and mysterious glowing spheres! There are also tons of achievements to unlock for performing certain tasks, such as getting a 150 combo or reaching a specific high score. Be sure to use the Facebook feature to post your score on your wall and challenge your friends to do even better! Are you ready to go on an enchanting adventure filled with witches, dragons and princess?